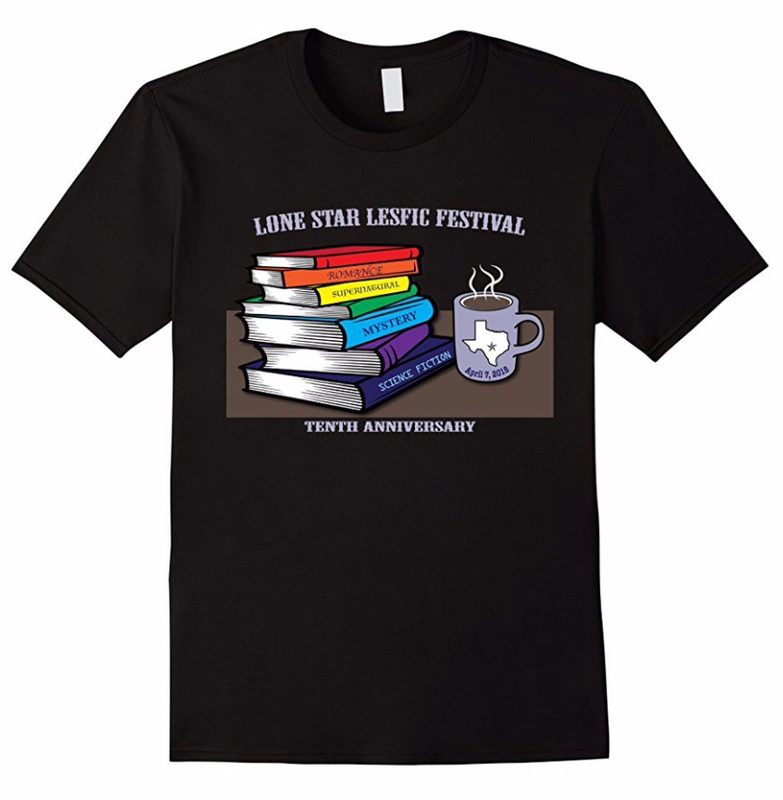 To commemorate the 10th Annual Lone Star LesFic Festival, Maggie Dane has designed special T-shirt. All proceeds from sales will go toward expenses for future lesfic events. Enjoy this fabulous shirt and help us promote lesbian fiction! Click here to order.